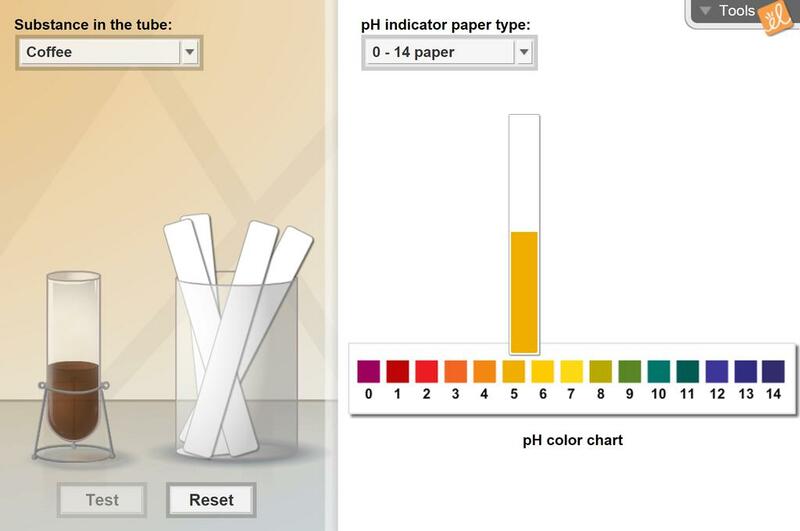 Test the acidity of common substances using pH paper. Materials including soap, lemon juice, milk, and oven cleaner can be tested by comparing the color of pH strips to a standard scale. I modified the one available for my 1L science class. I also modified the vocab sheet for the same class... (more). I altered the worksheet in order to demonstrate and reinforce how different foods orliquids consumed can ... (more)affect the potential for dental caries dependant upon acidic level. I made some improvements to the layout and questions so that students will understand the difference betw... (more)een 0-14 and 4.5-7.5 a little better. This can be used in conjunction with the Gizmo. After gathering data with the gizmo, students can test a... (more)ctual solutions in the lab. I really enjoyed using this gizmo with my students. It has the ability to test substances that you would not ordinarilly to test. This lab will work great for online students. Great lab to simulate pH testing before our trip to the local aquatic site. Great GIZMO for a lab Introduction - or if you don't have the funds available for litmus paper! Great practice with pH. My kids enjoyed matching all the pH. Greate interaction capabilities. Shows abstract concepts in unique ways. Fun way to introduce pH. Can be completed in 30 minutes.